We are a family owned business that have been providing the very best commercial laundry and dishwashing equipment, advice and service response throughout the South of England for over 27 years. We're giving our customers the advantage of the latest innovative Miele Professional Performance and Performance Plus washing machines for 10 to 20 kg loads, which set unprecedented new standards. We are very proud to have achieved the accolade of Miele's No.1 Professional Partner, for the 11th time. We are leading suppliers in heavy duty industrial dishwashers, and provide top businesses throughout the UK with large and small capacity dishwashers for offices, businesses, and private homes. 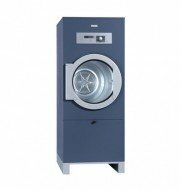 We are leading suppliers in heavy duty industrial washing machines and provide top businesses throughout the UK with large and small capacity washing machines as well as commercial tumble dryers. You need perfect results every time. That’s why we supply the excellence and efficiency of Miele and Electrolux commercial tumble dryers. We understand that the final finish of your laundry is what makes the difference between ‘nearly good’ and ‘really good’. Wet cleaning is the green alternative to traditional dry cleaning processes. 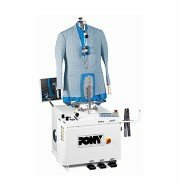 Finally you can wet clean ‘dry clean only’ garments and textiles. We offer fast and effective payment solutions for commercial washrooms. Perfect for youth hostels, universities, equestrian facilities, hotels and any establishment that needs payment-operated machines. Book a free site appraisal and use our in-depth knowledge and years of experience to help your establishment become as effective and efficient as possible. Things can go wrong with even with the finest appliances. However, our same day repair service offers you complete peace of mind for when they do. Our fully-qualified engineers have an in-depth knowledge of their machines. They’re also equipped with enough spare parts to fix issues with minimum disruption. We provide support right across the country. So you can be confident you have the right people behind you at all times. 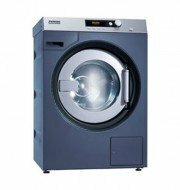 Miele are famed for their build quality, endurance and reliability. 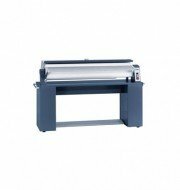 So we’re extremely proud to be the UK’s number one supplier of their Professional equipment. 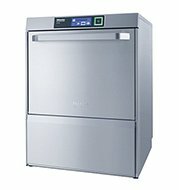 We’re extremely proud to be Miele Professional’s No.1 Partner for laundry and dishwashing equipment in the UK. We have achieved this status for 13 years out of the last 15!